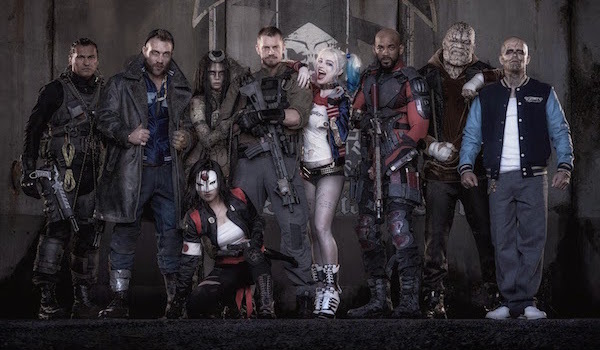 This past Sunday, Suicide Squad director David Ayer posted a photo of all the members in the film’s titular team. Among the diverse lineup of baddies was Harley Quinn, who will be played by The Wolf of Wall Street’s Margot Robbie. Her costume in the cast picture is a radical departure from her classic jester costume, and leaked set photos have confirmed that her DC Cinematic Universe look will be heavily inspired by the New 52 and the Batman: Arkham video games. Reactions have varied on her appearance, but in terms of opinions that are especially important, there’s no better person to ask than Bruce Timm: who co-created her with artist Paul Dini for Batman: The Animated Series in 1992. I'm actually really excited. I just today, just before the show started, saw the first image of Harley Quinn from the Suicide Squad movie, and I thought 'Whoa. She looks actually pretty cute!' I was actually kind of worried I thought ‘Oh, she's going to look really, really bizarre and skanky' but nah, she's not too bad. So I'm often mistaken. In case you need another look at Suicide Squad Harley, you can spot her in the picture below nestled between Joel Kinnaman’s Rick Flagg and Will Smith’s Deadshot. It’d be an understatement to say that Harley’s costume for the film is much different than how she was first envisioned. When Timm and Dini introduced her, she wore a red and black jester costume, a look she retained in almost every media appearance until the New 52. Her Suicide Squad costume veers more towards a "sexier" path, from the jacket and fishnets to her pony tails (which look like a play on the jester ball cap she used to wear), and choker. There’s also the main color scheme being changed to red and blue. Oh, and like her "Mistah J", she also has tattoos in various areas. Again, not too much in common with her original costume, but hey, that doesn’t mean that’s a bad thing. Visual differences aside, it sounds like Timm is optimistic that Harley’s theatrical debut will turn out well. There was also a rumor last month back that the villain would go through several costume changes throughout the film, so we may not be seeing her wear this particular get-up the whole time. Acting-wise, Robbie seems like has a good handle on the Harley’s personality and voice, so even if you’re not a fan of her costume, you can look forward to seeing her eccentricities brought to life in live-action. You can see Harley Quinn alongside the rest of the villains when Suicide Squad hits theaters on August 5, 2016.